"Land of the rising gun." David Brandt (Mortensen) is an FBI agent assigned to go deep undercover to infiltrate the Yakuza. He poses as an ex-con named Nick Davis and begins working in the warehouse of Isshin Tendo (Fujioka). When the main rivals to the Tendo gang, the Italian Mafia under the command of Dino Campanela (Nouri), stage a raid on the warehouse, Brandt saves Sawamoto (Ishibashi) from certain death. Sawamoto takes a liking to “Nick” and takes him under his wing. However, when Brandt’s boss, Littman (Forster) informs him that the Campanela clan is going to wipe out the Tendo gang, and to stay out of it, Brandt gets angry, firstly because he’s fallen in love with Yuko (Lawson), and secondly because he’s come to actually respect the culture and customs of the Japanese, which has blurred his judgment to the fact that he’s dealing with criminals. So during the final firefight between the two gangs, Brandt makes his final stand...what will it be? American Yakuza is classier-than-usual fare and recommended viewing. It’s shot very well, the acting is top-notch, there’s intelligence behind the writing, and it’s directed with a mixture of grit and an artistic streak that is very hard to pull off, but here wins over the audience. It’s definitely more of a gangster drama than an action movie, but there are some spectacular action scenes that make you wish there was room in the plot to fit in a few more. But it is somewhat unfair to demand “More Action!” because this isn’t strictly an action movie. It’s a well-thought-out, underrated affair that more people should see. It’s funny, Robert Forster plays pretty much the exact same role here as he does in Scanner Cop II (it even looks like it‘s shot in the same room), and Michael Nouri plays almost the same role as he does in Overkill (1996). If they were items on a computer, it’s easy to imagine the director dragging and dropping them from their respective movies into this one. That’s not meant to be an insult, Forster does his usual professional job and Nouri seems in his element. It’s actually one of the better Nouri performances we can remember. 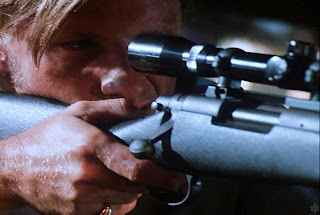 Viggo Mortensen made this movie before he was even really a big name, and he achieves the complex task of making you understand his emotions and motivations as he pulls off his double life. He should get more credit for that. 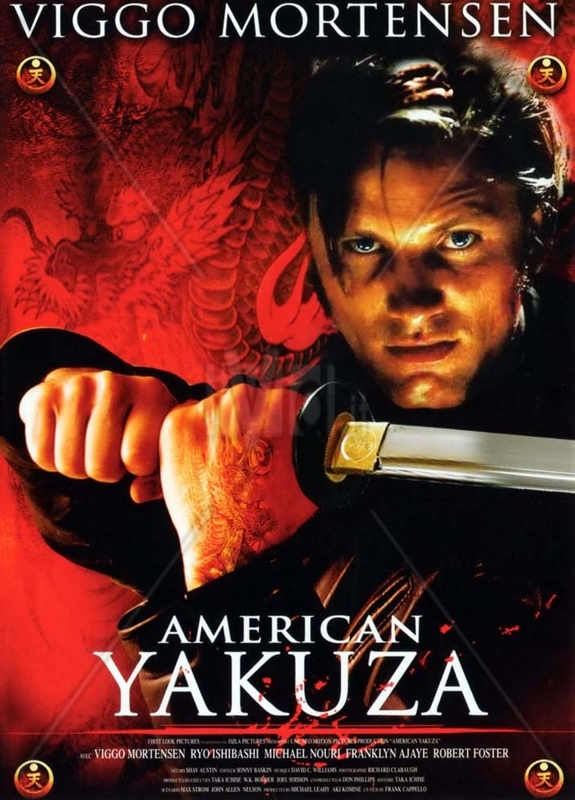 As he gets swept up in the Yakuza lifestyle, he still tries to make a contrast between his American culture, and their Yakuza one, by preferring good old American whisky to their Sake. Because American Yakuza combines visual flair with an engaging plot, you really can’t lose. Interestingly enough, this would make a great double feature with American Dragons (1998). They are both high quality movies with some similarities. 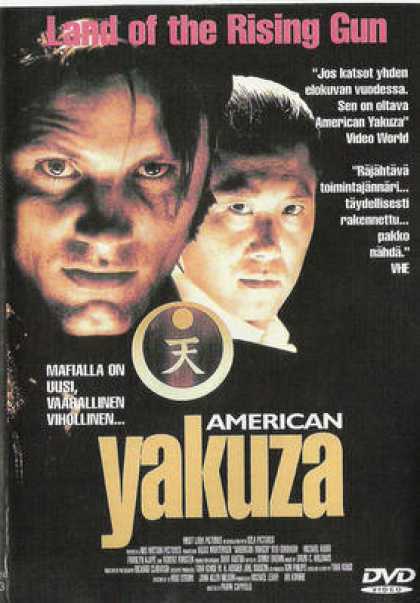 We give high marks to American Yakuza. It is a lot of fun. Viggo should make more movies like this. Cool to see Vigo Mortenson in this. I guess he wouldn't make anything like this now. Agreed but A History Of Violence was pretty close. Haha. It was like a fancier Steven Seagal movie! Wow! I've never heard of this one! How can that be? This sounds like a slick flick and I need to look this up. Thanks for the recommendation! Could always use some good Viggo! It is very slick! Viggo was solid. Fun action scenes too. It is cool before he got big, he made B-movies like this one.